Statistics confirm Print and Packaging companies around the world are experiencing the highest talent shortfall since 2007. Today’s employee seeks value beyond financial compensation. Thankfully, engaging, motivating and retaining talented team members is much easier than you think. Here are our top ten solutions to your staff retention challenges. Gallup research showed that out of 7,000 individuals, only 5% felt engaged. The Institute of Leadership & Management (IML) discovered 37% of employees are looking for a new job this year. Monster.co.uk revealed 58% said they are not thanked enough; 54% felt unacknowledged and 47% felt uninspired. Employees perform better and are loyal when they feel understood and are given the opportunity to do their best every day. Budgets for staff events, dinners and team building seminars were touted as the answers to staff engagement issues. Not anymore. Key solutions for retention success have nothing to do with money. Talented staff are engaged, motivated and retained through behavioural solutions and creative thinking, not the company chequebook. Employees seek roles within companies they connect with. An employer’s role has evolved beyond supplying work and salary to valuing and developing the talents and skills of their team. The most successful companies understand this: both employee and employer exhibit equal investment to reach business targets. No promotions available? No problem. Offer a talented team player their own project to lead. This simple example is a great way to nurture staff. 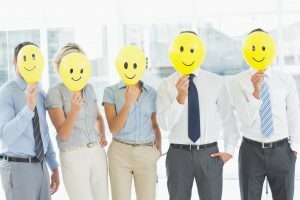 Research reveals developing individual development strategies are crucial to employee retention; and, in most cases, more important than a career path. All employees want to know whether they are doing a good job. Effective feedback is clear, prompt, offers solutions and concentrates on behaviour (not the person or their intention). Consistent feedback creates solid communication between employee and management. A positive perspective is one of the most effective leadership qualities. Celebrate success stories at the start of every staff meeting and encourage staff to explore solutions as a team. Once established, a positive environment is its own sustainable cycle of positivity. Successful Print and Packaging companies create an induction process engaging directly with a new employee’s enthusiasm. The most successful companies take this ethos right back to recruitment stage. They recruit talent for their behaviours and traits, as well as for experience and qualifications. Great leaders embody the qualities required to succeed in an organisation. Research reveals that if employees respect their leaders they are 55% more engaged. If management is inspired, engaged and motivated, your team will reflect these qualities. Encourage staff to share ideas and they will actively contribute to the business’ success. In successful companies, staff contributions have streamlined workflow processes and created meaningful solutions. Use an enjoyable ritual such as morning refreshments to gather the team together for an ideas session. The simple act of acknowledging hard work is extremely effective – and crucial. Not being thanked rates as one of the highest ranking complaints cited by disengaged staff. Statistics show staff loyalty and engagement increase if people feel genuinely valued. If you are serious about engagement and want to retain your best Print and Packaging employees Athena can help. Our 7 Step Recruiting System is designed to ensure that you can recruit and retain the top 15% of candidates in the Print and Packaging market, candidates who are motivated by much more than money. We work in partnership with our clients to fully understand their requirements and ensure that newly recruited staff are joining for the right reasons and looking to develop a long term career.